The authors of this Festschrift prepared these papers to honour and express their friendship to Klaus Ritter on the occasion of his sixtieth birthday. Be- cause of Ritter's many friends and his international reputation among math- ematicians, finding contributors was easy. In fact, constraints on the size of the book required us to limit the number of papers. 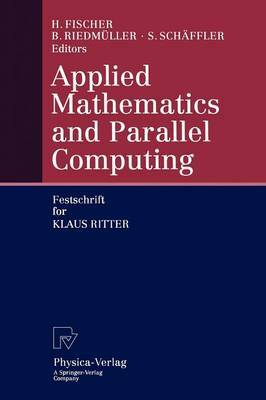 Klaus Ritter has done important work in a variety of areas, especially in var- ious applications of linear and nonlinear optimization and also in connection with statistics and parallel computing. For the latter we have to mention Rit- ter's development of transputer workstation hardware. The wide scope of his research is reflected by the breadth of the contributions in this Festschrift. After several years of scientific research in the U.S., Klaus Ritter was ap- pointed as full professor at the University of Stuttgart. Since then, his name has become inextricably connected with the regularly scheduled conferences on optimization in Oberwolfach. In 1981 he became full professor of Applied Mathematics and Mathematical Statistics at the Technical University of Mu- nich. In addition to his university teaching duties, he has made the activity of applying mathematical methods to problems of industry to be centrally important.